Can’t stand the sight of the traditional figgy pudding? These five alternatives – from mousse cakes to sponges – are a great way to round off a festive feast without a pinch of mixed spice in sight. Tradition is all well and good at Christmas, and some of us couldn’t even fathom ending the big meal on Christmas Day without a dense figgy pudding with lashings of brandy butter. But for those of us averse to the clod of currants, mixed peel and spice, it can sometimes feel like we’re duty-bound to force down a few mouthfuls of the stuff just to appease the more purist people around the table. 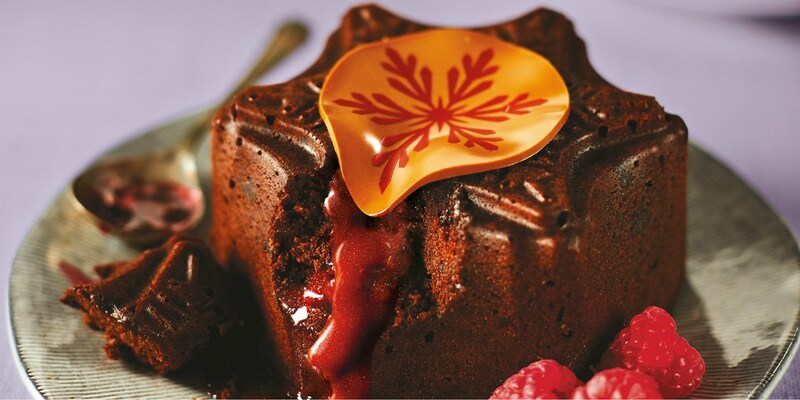 However, it doesn’t have to be like that – there are now dozens of alternative desserts in the shops that are full of festive flavour, look the part and are just as indulgent as the Victorian classic. From chocolate cakes and mousses to meringues, puddings and showstoppers, we tasted our way through dozens of them to pinpoint which ones will deliver on the big day. Here are our results. This ginormous dessert is essentially a massive chocolate mousse with a decadent layer of oozing salted caramel in the centre. 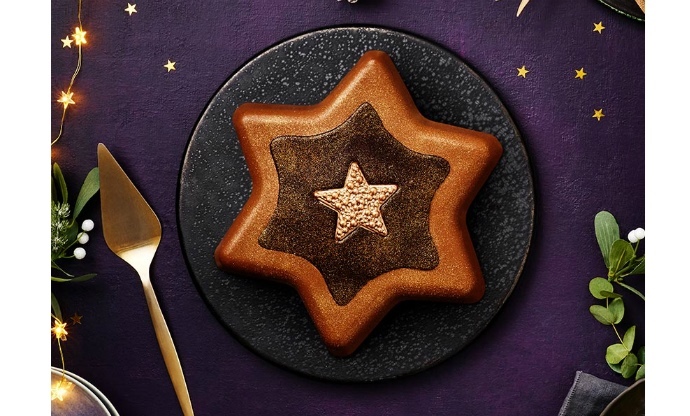 It’ll easily serve twelve people, and the shimmering finish and golden star on top certainly brings a sense of occasion to the table. Yes, it’s incredibly rich and sweet, but that certainly didn’t lose it any marks with our judging panel. Plus, it’s bound to delight children who loathe the classic figgy pud after the turkey. 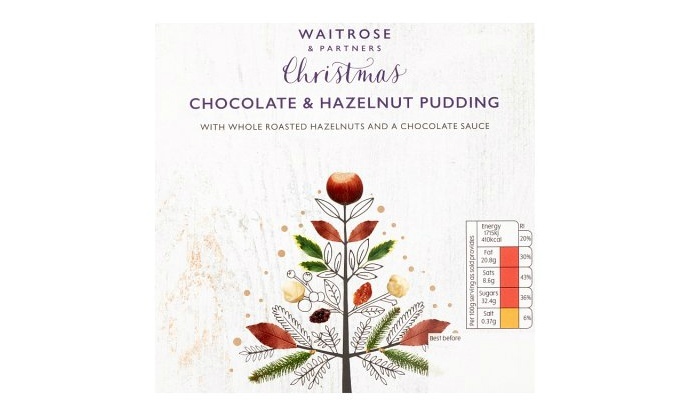 It was the combination of textures that got Tesco’s offering into the top five; crispy, chewy meringue, smooth chocolate cream, a tangy cherry kirsch sauce and a generous sprinkling of dark chocolate shavings on top. 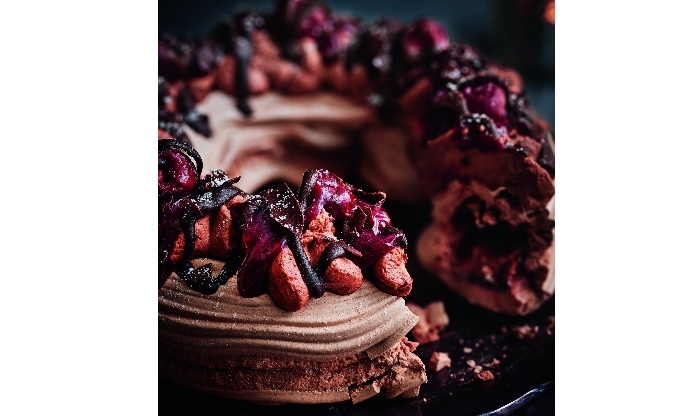 Light enough to finish off a decadent Christmas dinner yet still nice and indulgent, it also looks the part too – and any fans of retro Black Forest flavours will be in for a treat. Like sticky toffee pudding? Then you’ll love this souped-up festive version of the traditional favourite from Aldi. 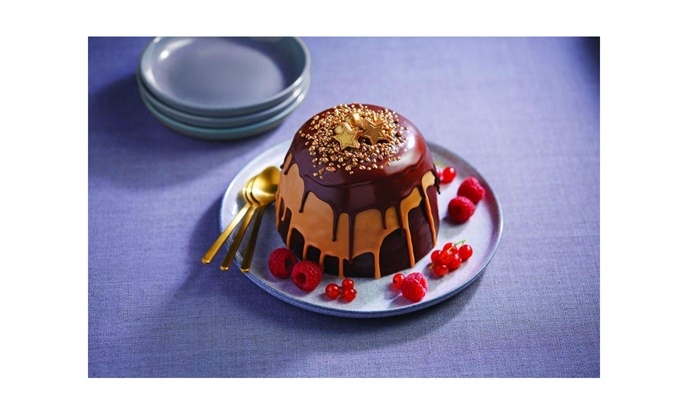 The toffee- and chocolate-flavoured sponge contains a molten core of salted caramel which pleasingly oozes out after you cut into it, and the slightly kitsch but fun decorations on top make it perfect for a celebration like Christmas. It’s also a steal at £4.99, easily serving 6–8 people (depending on how much turkey you’ve all had beforehand). There’s also popping candy on top, which is a welcome surprise. If you like the rich texture of a steamed sponge pudding but not the combination of dried fruit, spice and booze, then this might be the dessert for you. The bold chocolate is clear throughout, only interrupted by the occasional crunch of a roasted hazelnut. It’s also the cheapest in our list – it may be small (probably serving around 2–4 people), but there’s a lot of flavour within this little pudding. Aldi seems to have pulled out all the stops with their festive desserts this year, but the top ranking one of them all is this showstopping centrepiece. 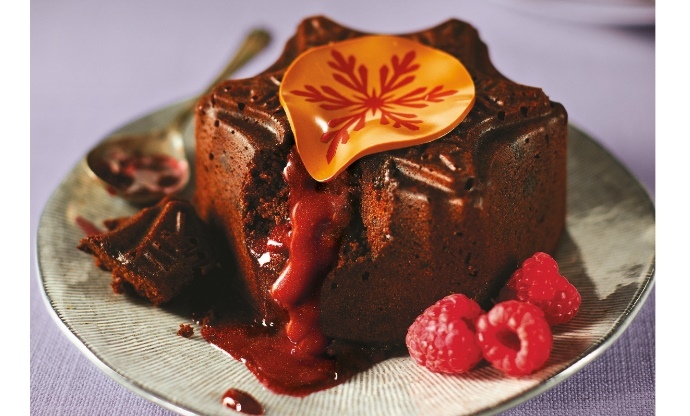 The sponge is nice and rich, but the real wow-factor comes from when you cut it open – the snowflake-patterned disc on top hides a pool of glittering cherry sauce which floods out (cue the gasps) once opened, moistening the cake and providing a tangy contrast to all that chocolate. If you’re the kind of person who still gets all excited by a ‘reveal’ (which we certainly are), this is the best way to round off a big Christmas dinner.